My wife loves topiaries. Well, who doesn’t? These photos will attest to that. Topiary is the horticultural practice of training live plants by clipping shrubs or trees into ornamental shapes. It is really a living sculpture. This art probably dates back to the Roman times. The art spread throughout Europe and peaked in popularity in the 17th century, though due to overwhelming growth it declined in the 18th century. Today, perhaps because of their visual appeal, or probably due to its nostalgic effect, or maybe just for the sheer love for it, that we still practice this art. 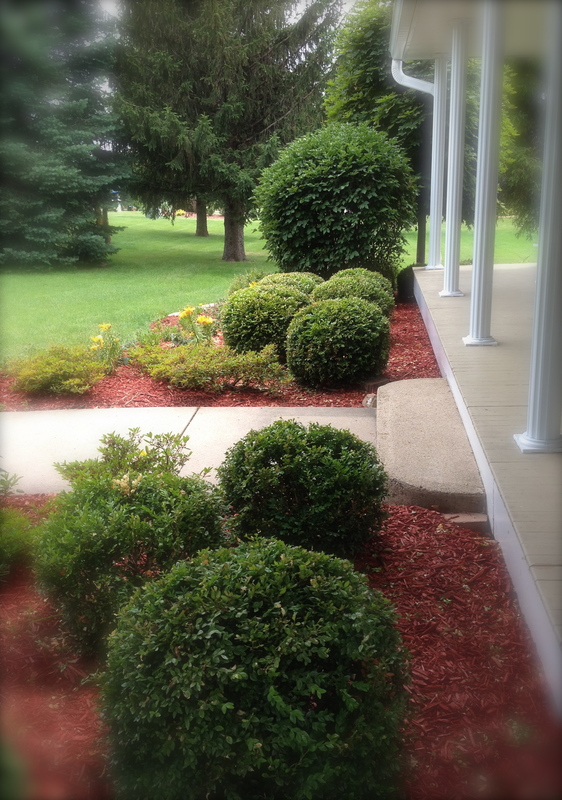 Here are some topiaries in our yard, composed of boxwoods and lilac shrubs. We trim them into round shapes, perhaps not with the same artistry as Edward Scissorhands. Maybe we will get more imaginative next time and sculpt them into more interesting shape, like bunnies, or turtles, or pigs. Pigs? Green round-shaped pigs will turn my yard into Angry Birds. 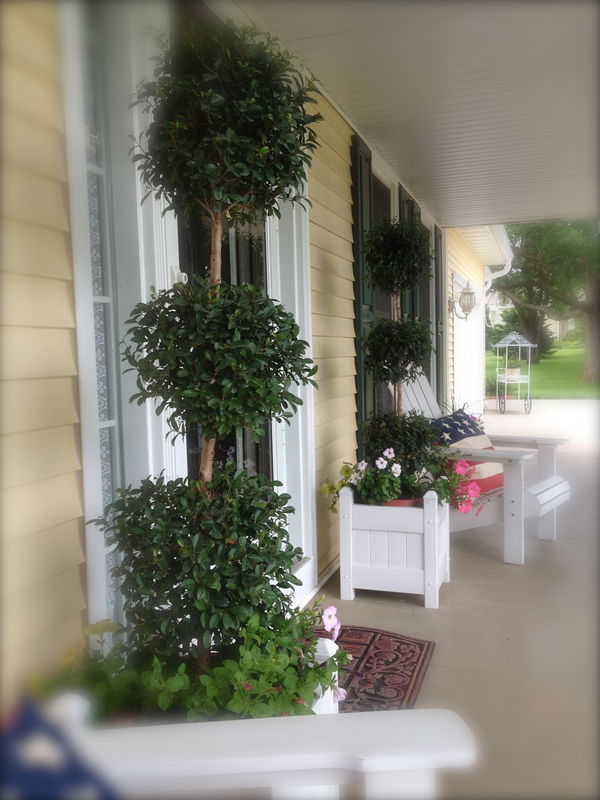 At the porch, standing like sentinels to the front door, are multi-ball topiaries. We bought them pre-trimmed, and all we have to do is maintain its form. Perhaps keeping them alive is more challenging than just maintaining their shape. 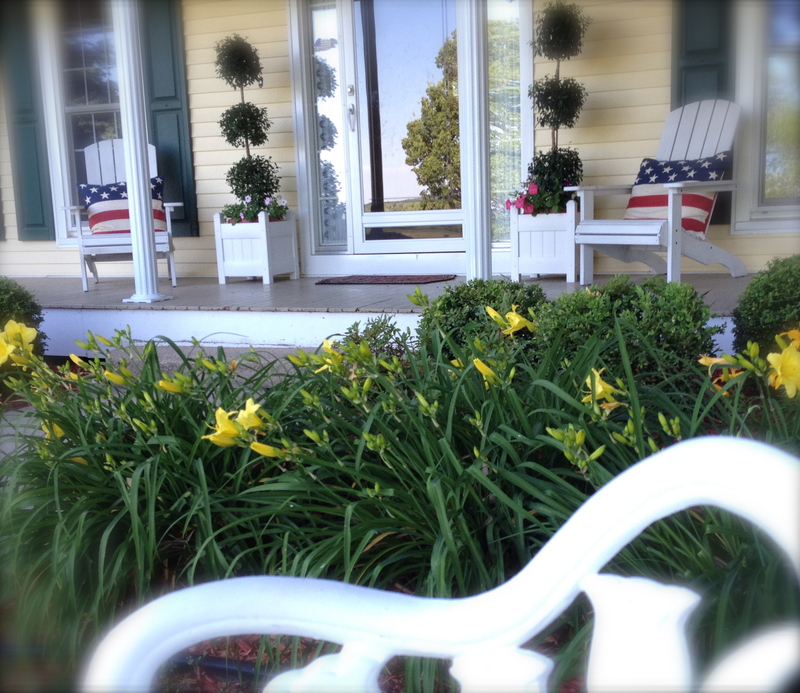 We have a few topiaries inside the house too and they are scattered around the rooms. 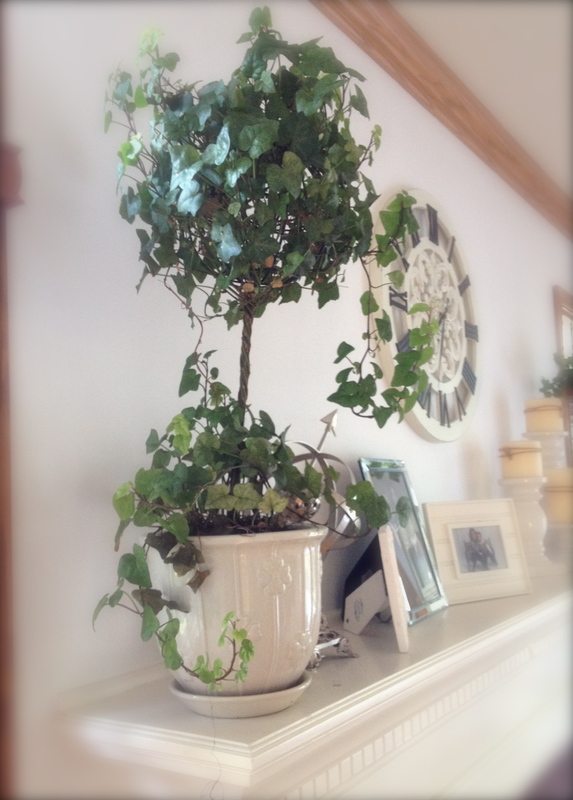 These are ivy plants that are trained in a wire structure. Topiaries can be sometimes be difficult to maintain. It requires a lot of work and tender loving care. But in spite of the diligent attention, a few (or should I say more than a few) of our topiary still end up dying. Most especially when we go out of town or go on vacation for a few days or even weeks, that is when these living art-form can suffer. This is where the title topiary caretaker and topiary killer can confoundingly blend. 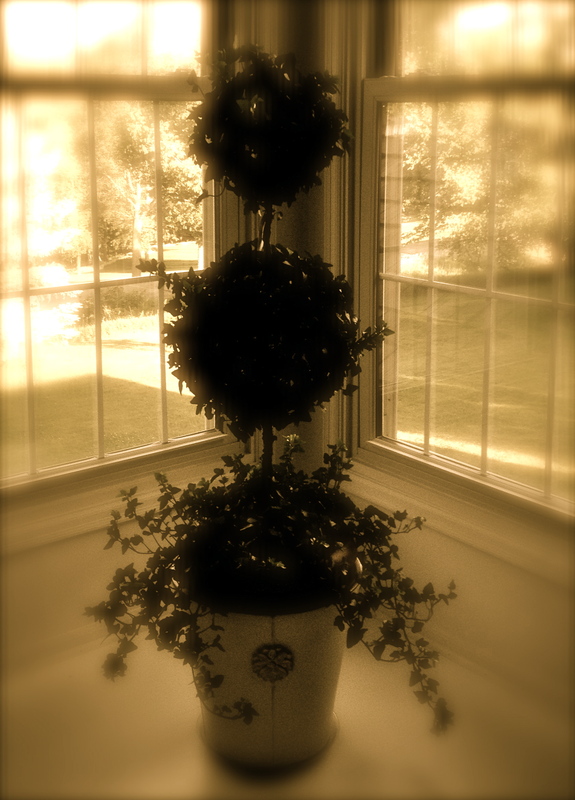 Because topiaries are live art, the downside of it is that it can wilt and die. 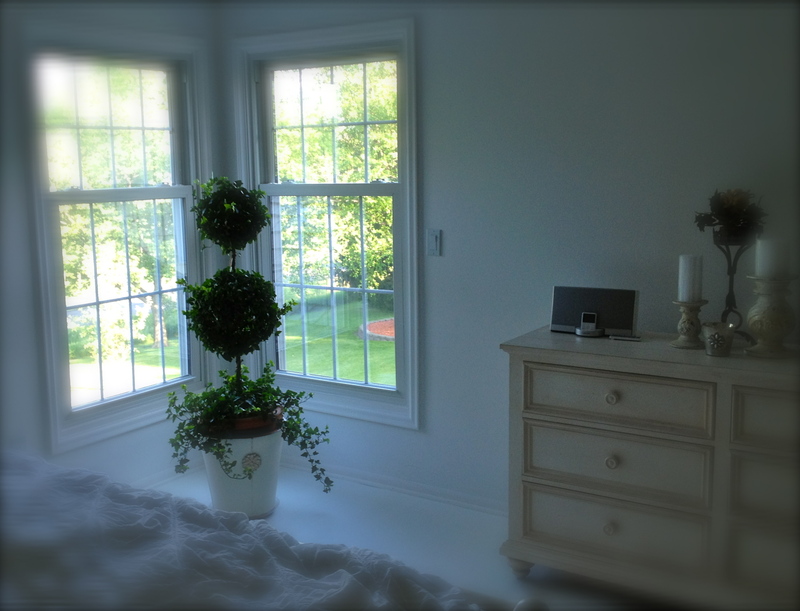 Of course, you can choose to have artificial or fake plants and topiaries. They may be cheaper too. 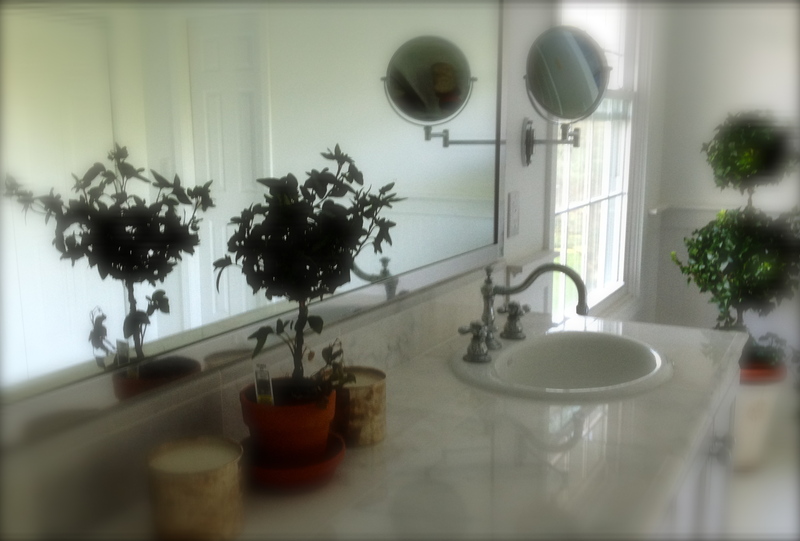 However, one pet peeve of mine is I don’t like plastic plants in our home. 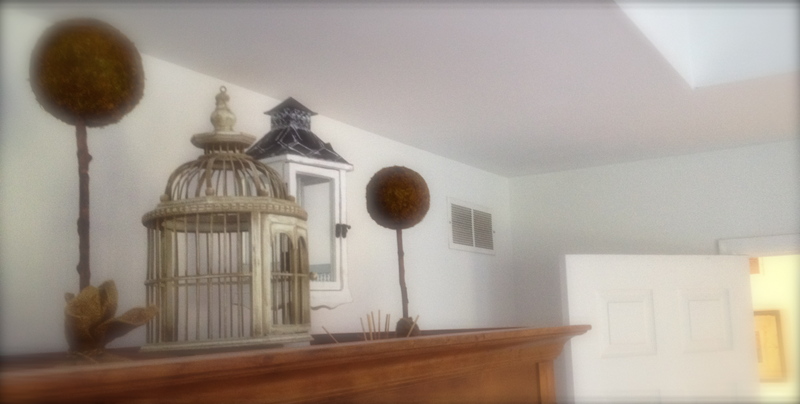 My philosophy is if we are going to display “plant-like” decorations, might as well make it the real thing. 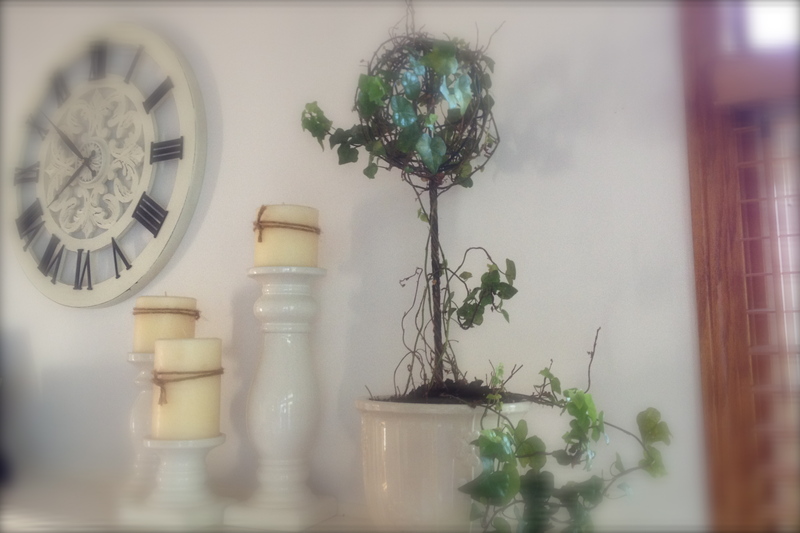 Having live plants is good for the home environment too. Some non-live and non-plant decorations we have. These don’t need any watering or care. 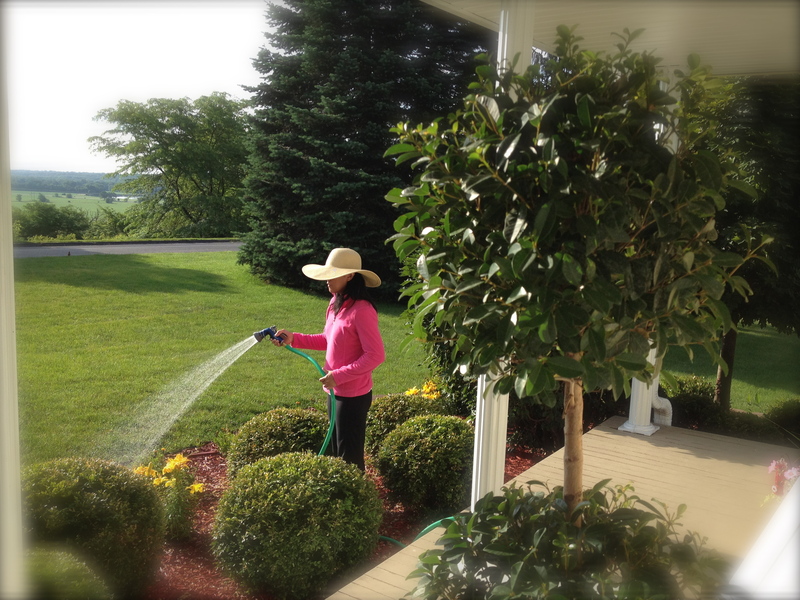 Even though my wife do all the hard work in caring for our topiaries and plants (as well as making our home more homey), I do admit that I really like having them around. What is my contribution in their care? Well, does admiring them count? Nature untouched is beautiful, but nature touched by human hands in a lovely and caring way can be as beautiful too. Training, twisting, clipping and shaping can create something divine. And this does not apply to topiaries alone, but to human character as well. Don’t you agree?